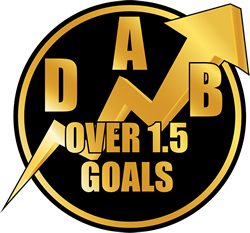 Our free Over 2.5 Goal Football Accumulator Tips are updated daily by our footie experts. 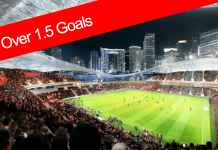 Place your bets and don’t forget to check back daily for more free 2.5 goal tips! And make sure you take advantage of the free bets we have on offer with our partners – click here for more info. So, what is an Over 2.5 Goals bet? Over 2.5 goals is one of the most popular picks for people to bet on. To win the bet, the match must have 3 or more goals in it – for example a 2-1 or 3-0 wins and so does a 6-0 or 6-1. You can also back under 2.5 goals which works the opposite way around so you would need 2 goals or less to win a bet so any scoreline of 0-0, 1-0, 0-1, 1-1, 2-0 or 0-2 would see this bet be a winner! 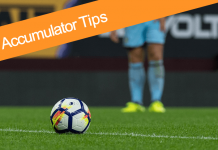 The best way of looking at what kind of games to pick for over 2.5 goals are ones with sides who score lots of goals as these are more likely to score during a match and thus making your pick more likely to come in. You may also look at a side who concedes a lot of goals if they were playing a side who were very good, you may think the good side would score a lot of goals and maybe win a game 3 or 4-0. You can also look into it statistically and see stats for teams and how likely they are to have over 2.5 goals in a match. For example team A might have played 10 games this season and 6 of their matches may have had 3 or more goals which is a 60% win ratio, then if the bookmaker had the match as even money for over 2.5 goals which is a 50% chance, you have 10% value and could see this as a good pick as mathematically the odds suggest it is in your favour.